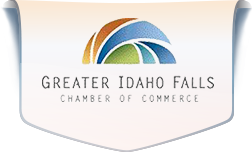 Each year the Greater Idaho Falls Chamber of Commerce selects 10 outstanding individuals to receive the Distinguished Under 40 Award. These honorees are recognized and presented with their awards at a luncheon. Join us to celebrate these individuals and their contributions to the greater Idaho Falls community. Individual tickets and full table registrations are available. Registration deadline is Friday, September 22. If you are interested in sponsorship opportunities, please contact Lois Mackes at programs@idahofallschamber.com or by calling 208-523-1010.